The man who is widely acknowledged as the inventor of the world wide web, Tim Berners-Lee has long been an outspoken advocate for online privacy. 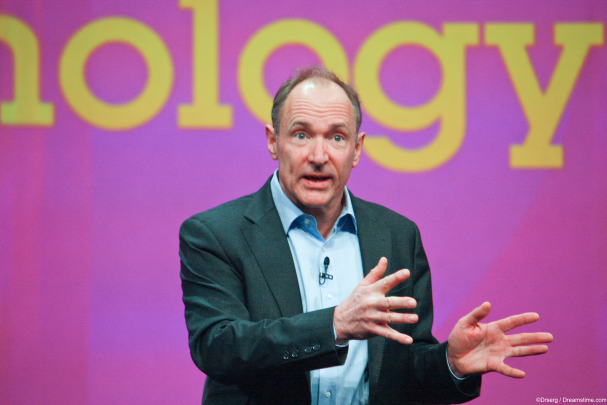 But as the modern internet moves further and further from the from the free and open network of technology and ideas he originally envisaged, Tim Berners-Lee has become more vocal in his calls for wholesale changes to be made to how the internet is operated. The two aspects of the modern internet which Berners-Lee is increasingly uncomfortable with are its increasing centralisation and the growing levels of control which state and corporate actors have on regular users. More and more countries around the world are passing laws which allow them to intrude into the online activities of their citizens (and indeed often those of other countries). The actions of authoritarian regimes like China and Russia are well documented, but now we are seeing similar laws being passed in first world democracies like the UK and the USA as well. Berners-Lee has been openly critical of the new Investigatory Powers Act in the UK, saying that the new law created “a security nightmare”. Then there are the ways in which internet corporations like Facebook and Google routinely harvest the personal data of users, selling it on for profits to third parties, as well as allowing access to advertisers and countless other organisations as well. The question is how to address these to fundamental concerns about the workings of the modern day internet. According to Berners-Lee, one answer is decentralisation and to that end, he has launched a new project at MIT called Solid. Solid sees some of the finest computing minds at MIT and the Qatar computing Research Institute working to make radical changes to the way the internet and applications operates. The overall aim is to give data ownership exclusively back to users again and offer vastly improved levels of online privacy. The name Solid has been taken from “social linked data” and offers a set of tools to develop applications based on Linked Data principles. It is a modular design which allows users to switch between apps at will whilst retaining control of all their data within the apps. The concept is already making headway with a major decentralisation event taking place last June, at which Berners-Lee himself spoke. There are also a number of apps which have been built on the Solid principals. One such is Blockstack, which is developing open-source software to create a sort of parallel web. Later this year they will be releasing software to enable this new internet to be surfed using regular browsers. Another is Maidsafe, a decentralised p2p network which allows users to create and host websites, store data, and a lot more besides. Decentralisation could well be the future, but in the present, Berners-Lee’s other answer is encryption. He has been hugely critical of efforts by the NSA and GCHQ to crack the encryption used by millions of people to protect their personal data. He is a big advocate of individuals taking responsibility and showing initiative in protecting their own data and privacy online and to that end, he supports the use of encrypted services like ProtonMail, Signal, and of course VPNs. VPNs encrypt all the internet traffic of any device they are loaded onto, and so help to protect users online privacy and security. Tomorrow a decentralised internet might be the answers to all our online privacy concerns. But for today, encryption and VPNs offer the best solution around.